The City of Lumberton, TX and City Manager Steve Clark have kicked out the Hardin County Republican Women's group from using the Lumberton "Pete Trest" Community Center. The Community Center is a city public building that was built for the community to use. There is of course a rental fee that must be paid to use the building to cover building expenses and to pay for a city employee to be at the events at the community center. For nearly every month in 2012, the Hardin County Republican Women's group paid to rent the building for their once a month meetings. Even though it is a women's group, it is the only Republican group that meets on a monthly basis in Hardin County and men are welcomed. I went to some of the meetings at the Lumberton Community Center last year. Everything was just fine. The rent was always paid, the city never had any problems, and the meetings were getting better and better. Just a couple of years ago, most elected officials in the county (Hardin County) were Democrat. Now most elected officials in Hardin County are Republican. This Republican group has played a big role in helping grow the Republican Party in Hardin County. The Republican Women of Hardin County group is a part of the Texas Federation of Republican Women. The County and City still have some old Democrats who do not particularly like to see their good ol boys lose elections or be forced to switch to the Republican in order to stay in office in the now Republican County. Apparently, the Lumberton City Manager, Steve Clark, does not like the progress that the Republican Women's group has made either, or at least he does not want the Republican Women's group to meet at the Community Center anymore. The question is why? 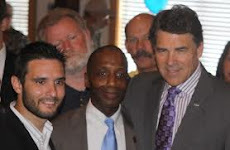 I don't know whether or not the city manager is one of these old Democrats, but I do know for a fact that most of the local city officials and city manager tried to stop Governor Rick Perry from coming to Lumberton last year to endorse State Representative James White. James White won instead of Mike Hamilton (who most of the Lumberton city officials openly endorsed). Maybe they are still mad about that? Here is what we know for sure. For nearly every month in 2012, Lumberton City Manager Steve Clark allowed the Republican Women's group to rent the Community Building. He accepted their money. He signed off to every monthly request to use the building. He never once objected to the Republican group using the facility. Well, out of nowhere, right before the January 2013 meeting, the City Manager told the Republican Club they are no longer welcome to use the community center ever again for a once a month meeting. I contacted the Hardin County Republican Women President, Janis Holt, and asked the reason they were banned from using the facility. Janis Holt said that the City said that there was a policy that does not allow anyone to use the community center for monthly meetings. They said that the Community Center could only be used for random parties or events and therefore the Republican Women could not use the center for scheduled once a month meetings. As a disclaimer, I want to say that Janis Holt did not ask me to write this article. She would probably actually rather me not write this article because it might stir some things up and she does not want the Republican Women's group to get hurt. I understand that and so I want to make sure to include this disclaimer that Janis Holt did not ask me to write this. I am writing this article on my own because, well, I have a habit of sticking my neck out there because I believe that shining light on the government doing wrong is a good thing to do even if I have to take some heat for it. What happened here is wrong and I personally felt that it needed to be exposed. First of all, what kind of community center does not allow organizations to meet at the community center and pay the fee just like any other event? Second, it seems as though this policy is bogus and was made up to kick out the Republican Club. If this was a real policy that had been in effect for years then why did the city manager allow the Republican Club to use the community center for nearly a year? Is he that incompetent? Why didn't the City Manager speak up after the second monthly meeting last year instead of waiting until several meetings and a year later? I do not think he is so incompetent that he did not know the Republican Group was meeting on a monthly basis. He knew they were and he had no problem with it. The city manager did not speak up sooner because it was not against policy for the Republican club to use the community center for monthly meetings. It only became a policy after, I can only assume, the the City Manager did not like the last election results or got tired of the Republican Women's group becoming more successful. He can't stop the group from meeting, but he can ban them form meeting in the community center. I have been asked why I believe that this "new" policy and the city manager's actions are targeting the Republican club only and not any other clubs. Well, the answer is simple. The Hardin County Republican Women were the ONLY group using or requesting to use the community center for monthly meetings. So, if the Republican group was the only group meeting at the community center, then logically this new policy banning monthly meetings was directed at, and only affected, the Republican group monthly meetings at the community center. 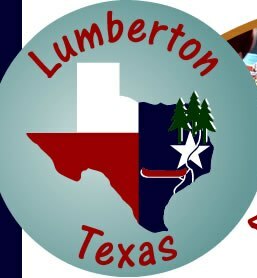 The City of Lumberton, TX has some major problems. This is just one of more recent problems but it is very revealing. The City Manager kicked out the Republican club from the COMMUNITY RENT CENTER for crying out loud. A once a month meeting is just too much for the center to handle I guess. Maybe the City Manager should rename it as the non-community center. I trust it won't take long for the enterprising Republican women to come up with a solution. One I hope that is as unnecessarily painful as their removal. Steve Clark needs to ALWAYS remember, "pay-backs are Hell!" David, Did you ask Mr. Clark for a statement? I would be interested in his side of the story, too.